Beautiful Persian paisley printed cotton covered note book, makes a lovely present for those hard to buy for friends and family. 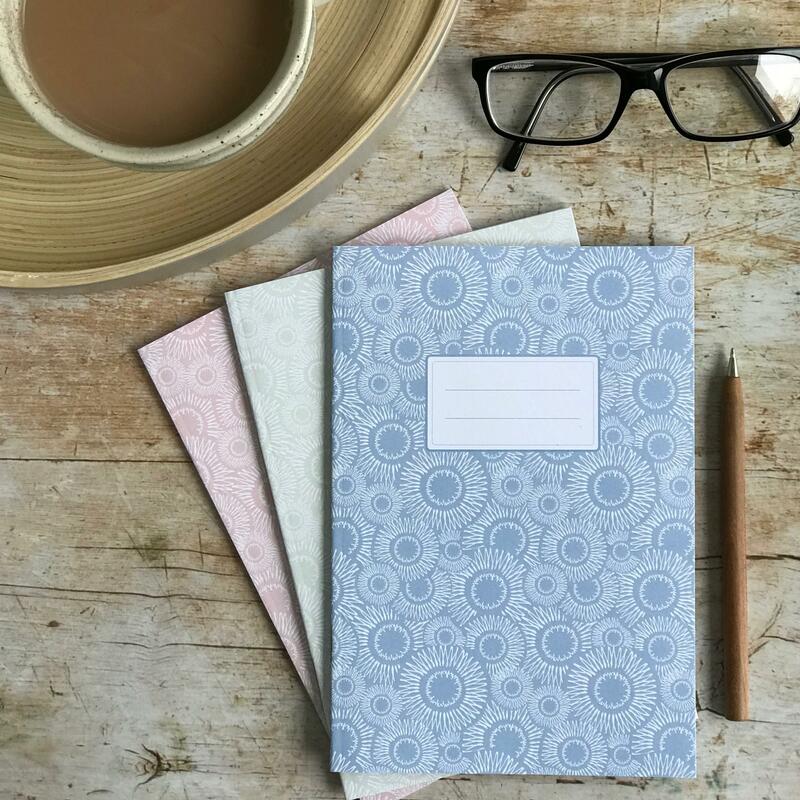 They are available in two sizes, A6 which is the perfect handbag size, and A5 which is slightly larger and therefore lends it self as a handy notebook to keep by the phone or making plans. 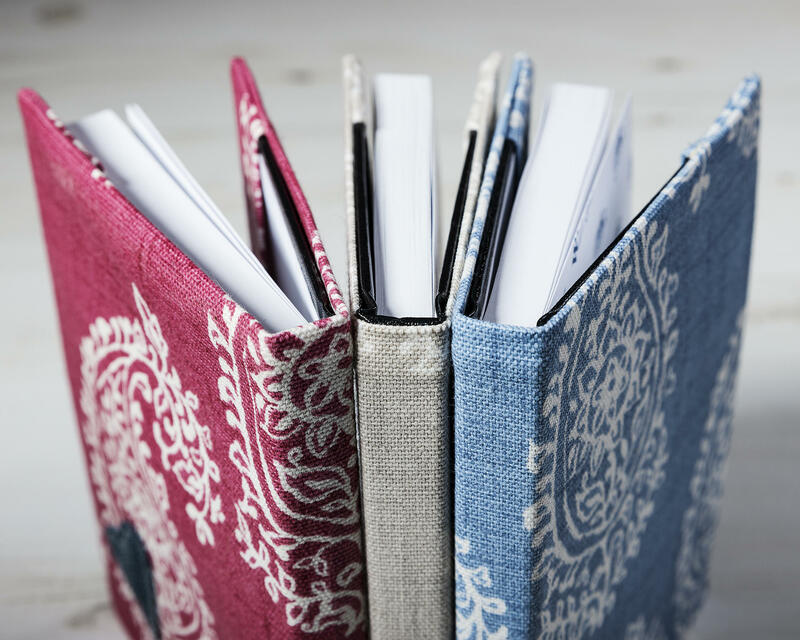 Each notebook has a removable cover and features Elm Tree Studio's signature soft denim appliquéd heart on the back. When you have finished filling the notebook, the cover can be removed and used again, making it a lovely long lasting gift. The notebook has perforated pages, so is ideal for note taking and jotting. They are also perfect to use as a small sketch book due to the high quality paper used. Each notebook contains 96 pages of 170gsm Acid free paper which is perfect for writing, drawing with pen and ink and even using watercolour. Each notebook is hand-crafted to order. Replacement note books can be purchased in all good art supply shops and stationary suppliers.